Day 2 of the Cash Game Festival Gibraltar at Sunborn Casino has tied a new record on the luxury superyacht. With six cash game tables running simultaneously, it’s a record that both festival organizers and casino staff fully expect to be beaten over the weekend. We’re the Official Travel Partner for Cash Game Festival and there’s still lots of time to join in the Cash Game Festival Gibraltar fun with easy flights from the UK and across Europe. Players with the Cash Game Festival hospitality package started yesterday with an exciting whale and dolphin sightseeing boat tour before play kicked off aboard the Sunborn superyacht. The UK’s Ryan Davey was the big winner on the early feature table, before joining Cash Game Festival commentator Brandon Allen for the entire stream on the late feature table which was dominated by Norway's Knut Rysstad. Most of yesterday’s action no-limit hold'em but it wasn't too much of a surprise when a Sviten Special table kicked off, joined by many of festival regulars such as Janar Kokk, Elora Kask, Peter La Terra, Veli-Matti Puumala and Sampsa "Sampson" Nyysti. 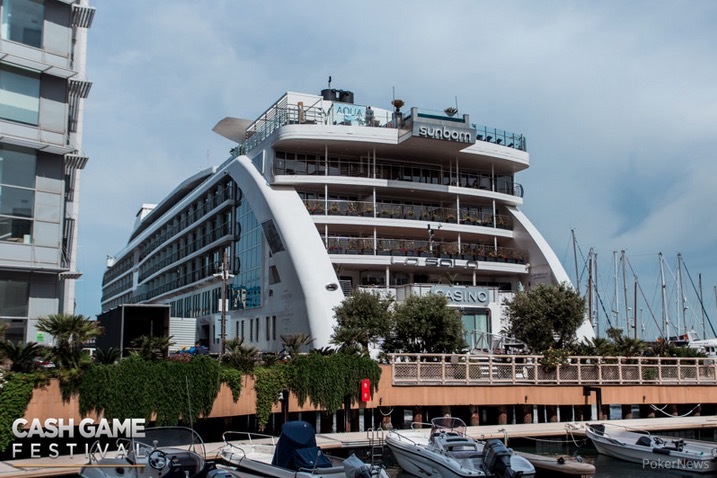 Cash Game Festival Gibraltar involves five days of non-stop, round-the-clock poker at the amazing 5**** Sunborn Super Yacht Hotel, Resort and Casino, running May 17-22 and organised by people who are passionate about poker and traveling. The Cash Game Festival offers 24/7 cash games throughout 5-day live events. In addition, the festival features live online broadcasts straight from our TV tables and viewable on Twitch. This year, Cash Game Festival has grown to a total of 11 live events. Cash Game Festival was born in 2014 in Estonia and, after two years of successful local cash game events, the team packed their bags and went on their first successful international tour in 2016 with events in London, Malta and Bulgaria. Following Cash Game Festival Gibraltar, the festival will be headed to Malta next month with Cash Game Festival Malta from June 14-18.